AUSTRALIAN experts support the push to make HIV testing available at home through a new oral test, despite evidence that rapid HIV tests are less reliable than conventional serology. “Overall, both tests perform similarly under clinical trial conditions and in clinical use, and both are portable and yield results in about 20 minutes”, the authors wrote. The oral test involved sweeping the test swab across the gum lines and then submerging it in a developer solution, which the authors said made it “ideal for home self-testing”. However, the latest study confirmed the oral test, like other rapid tests, is less reliable than the fourth-generation assays currently used in primary care. Of the total 1074 oral tests conducted, there were 11 true-positive results, two false non-reactive results due to undetected early infection and one false-positive result due to reader error (sensitivity 84.6%, specificity 99.8%). The authors noted that as rapid testing only detected HIV-1/2 antibody, which took 2-4 weeks or more to develop, infections could be missed in the early days after exposure when patients were most contagious. They therefore suggested confirmatory serological tests for MSM and individuals at high risk or those with symptoms of seroconversion. Patients in the study reported that they found oral testing less stressful than standard venous sampling, and would recommend it to their peers and test more frequently if the test was TGA-approved. Professor Christopher Fairley, director of the Melbourne Sexual Health Centre at Alfred Health, said the study confirmed that oral testing was suboptimal in the clinical setting, given it was not as reliable as fourth-generation antibody testing. Nevertheless, he supported efforts to make the test available at home, saying that, provided people were aware of its limitations, it had potential to increase the frequency of testing among MSM and so reduce HIV transmission. “The important thing is that men must be completely and thoroughly aware of the test’s unreliability in the early stages of an infection, when they are at greatest risk of transmitting the virus”, he told MJA InSight. Although home HIV testing is available in the US, Professor Fairley noted the US lacked the same excellent standard of primary care-based HIV testing available in Australia. However, he said that if home testing became available, it would be appropriate for men to test themselves “perhaps every couple of months, or more frequently depending on their level of risk” and only present at the clinic if they had a reactive result. Dr Tom Turnbull, an Adelaide GP and member of the Australasian Society for HIV Medicine, said home testing was an exciting opportunity to access hard-to-test and under-tested populations without stigma and judgement. “Currently there is a cohort of people with undiagnosed HIV in Australia who are at risk of transmitting the virus without their knowledge”, he said. “The test kits will need to be easily available at pharmacies and supermarkets, like home pregnancy tests”, Dr Turnbull told MJA InSight, saying they would also need an insert listing contact details if the tester had a positive result, so they could access post-test counselling and be directed to their closest HIV health care provider for treatment. He also agreed that a limitation of the current oral-based HIV test was its inability to detect HIV at the seroconversion stage. The two tests mentioned in this story are the Alere Determine HIV 1/2 Ag/Ab Combo and the OraQuick Advance Rapid HIV-1/2 Antibody Test. The study authors disclosed that they had no competing interests. 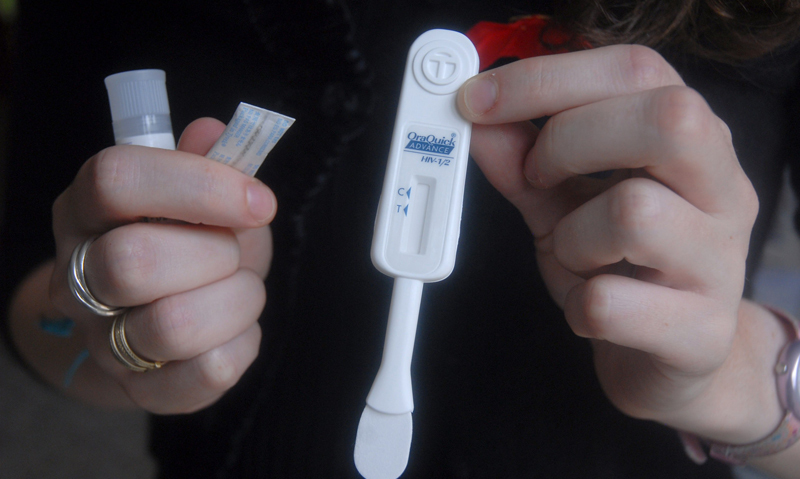 Should new rapid HIV tests be available for home testing?